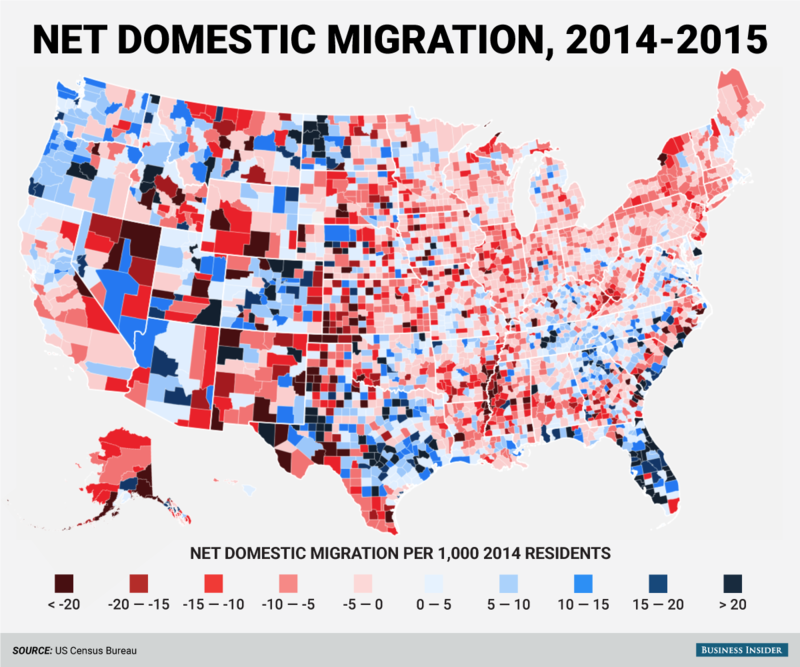 The Census Bureau just released its estimates of population change between 2014 and 2015 in all 3,142 US counties and county equivalents. 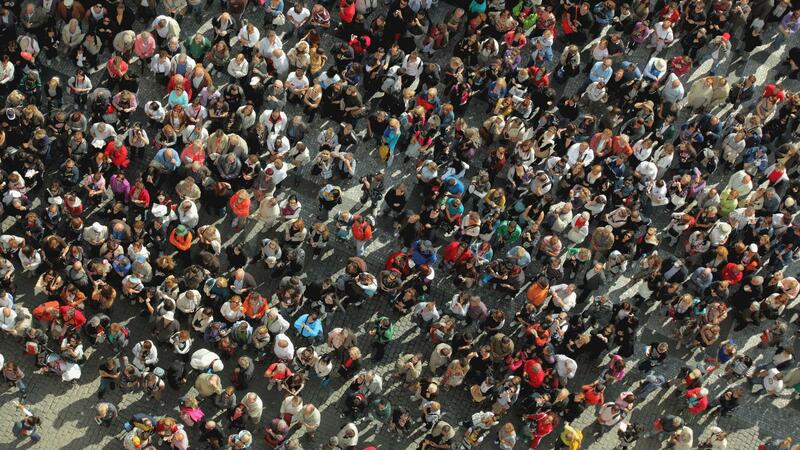 In addition to looking at overall population change, the Bureau included estimates of the different components of change. 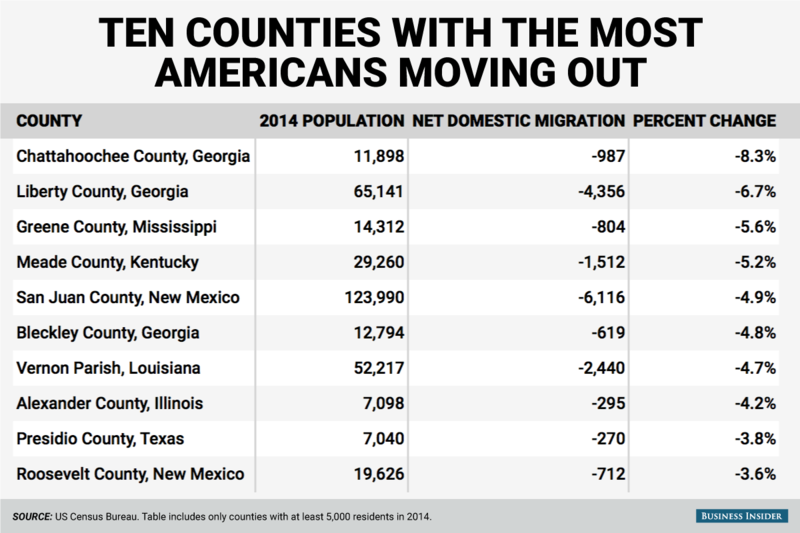 The biggest factor in most counties' population changes from year to year is domestic migration, or people moving from one US county to another. 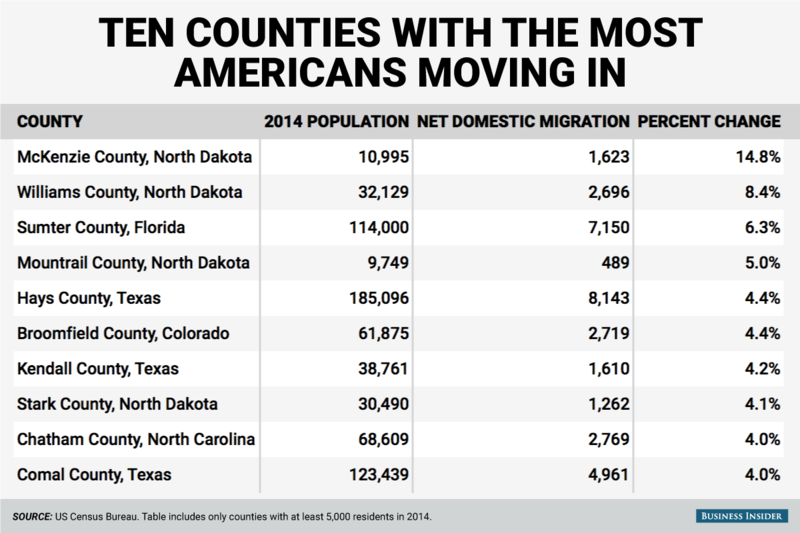 Most counties in the Northeast and Midwest had more Americans moving out than moving in, while parts of the South and West saw a net increase from domestic migration.